Beware, our 18 holes mini golf is not easy as you may think; it requires dexterity and a sharp eye (or two!). Quench your thirst on any sunny afternoon at our bar and relax after your mini golf tournament at our lounge. A comfortable place to lay down your hair anytime. An Affordable and good cuisine is waiting for you at the mini golf. We offer a wide range of items and a specialty of hot stone cooking at your table. 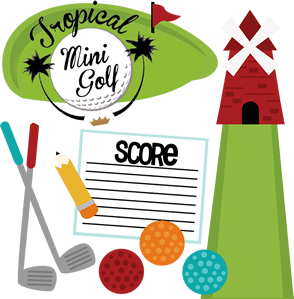 The only one of its kind in the region, our 18 holes mini golf will entertain you all afternoon – well, at least a couple of hours. Grab a club and let’s have some fun! Cold beers and fun guaranteed!! !